Enjoy the best private jet charter services in NYC, the most visited city in the world. Renting a private jet to Teterboro Airport (KTEB) is the most comfortable and convenient way to get in and out of the Big Apple, and Air Charter Advisors offers the highest service and safety standards in executive and leisure air travel. Air Charter Advisors offers a comprehensive list of luxury and executive aviation services in NYC, from bespoke jet charters, business jet rentals, medical charter flights, and air cargo service, to jet card programs, fractional aircraft ownership, corporate flight back-up, aircraft sales & acquisitions, charter plane marketing, and private jet management in New York City, NY. Whether you’re flying out of Manhattan or flying to New York from anywhere around the world, our access to a global fleet thousands of jets allow us to locate the best aircraft for your jet charter flights, whether you’re flying internationally or domestically. Call us at 1-888-987-5387 (JETS) for the latest hourly and availability on private plane rentals in New York, NY. We offer the incredible deals and competitive rates for private charter flights in New York City, and our transparent, consultative aviation services are exactly what executive, HNWI’s, and luxury travelers are looking for out of their jet charter company. Based in the United States with more than a decade of experience in private aviation, Air Charter Advisors offers global aviation services that cater to executive and leisure flyers in the New York City metropolitan area. From Manhattan to Midtown all the way to Montauk, you’ll enjoy the most competitive hourly rates on aircraft rentals, all-inclusive charter quotes, and instant access to thousands of charter planes no matter where you’re located. Our NYC air charter brokers are Wyvern-certified, applying the highest safety and due diligence standards in executive aviation to every flight we arrange. We exclusively arrange aircraft operated by FAR Part 135 or 121 (or foreign equivalent) air carriers for jet charter flights to NYC, and review third-party safety reports to mitigate potential risks associated with operators, aircraft, or flight crew. Our list of clients includes heads of state, C-level executives from major corporations, celebrities, personal assistants and leisure travelers from around the world. Enjoy the peace of mind you get from working with a broker you can trust, and we’ll be your aviation solution for luxury air travel, aircraft acquisitions and private jet management in New York City. Call or request a quote for your upcoming flight. Our team is here to help you with your luxury and executive air travel, or accommodating any other special requests – consider our Private Jet Charter NYC service your one-stop shop for all things private aviation in Manhattan and throughout the Empire State. Air Charter Advisors utilizes the following Heliports for helicopter charter service between airports and other available landing pads in Manhattan. We can arrange executive helicopter flights for business meetings, conferences and other events, as well as leisure travel between attractions. Air Charter Advisors has access to the following Wyvern-certified aircraft for your private flight. All of the aircraft we utilize for charter services are operated by FAR Part 135 or 121 (or foreign equivalent) air carriers, using only veteran pilots in the private jet you’re renting. The following are examples of hourly rates for private jet, turbo-prop and helicopter rentals to/from New York City and surrounding areas. New York is one of the most popular regions in the world for business aviation, and many operators offer empty leg charter flights, which may greatly reduce the cost of your flight. Air Charter Advisors is a leading jet charter broker based in the United States, offering a wide range of private aviation services for leisure and executive travelers in New York City, NY. Whether you’re looking to book a private flight to, purchase your own aircraft, or want to add the convenience and flexibility of private aviation to your corporate travel department, our wide range of NYC air charter services have you covered. ACA is here to lend our expertise and advice to clients interested in purchasing their own private jet, turbo-prop, piston or helicopter aircraft for personal use, and we can also work with corporate flight departments to acquire the right business jet for their executives. Whether you’re interested in buying a new or pre-owned used aircraft, or you already own an aircraft and are interested in selling, our brokers can help make the transaction go as smoothly as possible. Our team also provides aircraft management and marketing services to offset private jet ownership and operating costs. Factors such as the best airport to base your jet, which airports have the best prices on fuel, routing your aircraft to maximize its market, and accounting for trends in the aviation market – having your private jet or turbo-prop marketed and managed by our jet charter company is an essential component to private aircraft ownership. Does your executive team need to charter a business jet to for a meeting in Manhattan? Air Charter Advisors can handle all of the details for your private travel, including ground transportation, helicopter charters and more! We work directly with several corporate flight departments to arrange charter flights for their executive team – our due-diligence processes meet and/or exceed the standards applied to many corporate fleets, some of the highest standards in the aviation industry. Our team of New York jet charter brokers can provide competitive rates on a wide range of sleek, modern business jets available in executive configurations, including amenities such as on-board Wi-Fi, spacious cabins and gourmet in-flight catering. If you have a private or corporate aircraft that has a mechanical issue, or you need to arrange simultaneous trips for your business executives, we can arrange a supplemental lift in as little as 4 to 6 hours. Our private jet team also offers unlimited quotes with zero obligations – if you’re a fractional owner or a jet card member, give us a call and compare us to your current plan! Our team will be available to you 24/7 to help plan your upcoming executive flight to New York City. Do you frequently charter flights to/from Teterboro Airport or the New York City area? Or maybe you usually fly first-class, and are interested in becoming a jet card member to experience the benefits of private aviation for yourself. Either way, our team is here to go over all of the options available to help clients make an informed decision. Although we focus on pay-as-you go, on-demand charter flights, we understand that every client has different needs, and we’re happy to discuss all of the benefits and limitations with fractional ownership and jet card memberships so you can make the best choice for you, your family or your business. Our team is here to assist during difficult times when you or a loved one is suffering through health problems. If you are in need of a Medical Charter Flight or an Air Ambulance, we can arrange the proper aircraft and the appropriate medical crew for your flight. Some individuals and patients have medical conditions that may require an Air Ambulance with medical staff on-board, while others may require a private aircraft if commercial travel is not an option, or a major inconvenience. Planning on staying in New York for a while? Visiting your vacation home, whether it’s in the Hamptons or Big Sur? Moving to Manhattan? If so, you may be able to benefit from using an empty leg charter flight. As the most popular region for general aviation in the United States, it receives an incredibly high amount of air traffic, which offers an opportunity for our clients. Private jets are constantly relocating and scheduling flights to/from Teterboro Airport, which often opens up the possibility of an empty leg. One-way flights to (KTEB) Teterboro Airport are very common, and if a private jet needs to be re-positioned, we can potentially save thousands off of your flight cost by booking an empty leg. It’s important to keep in mind that the empty leg market continually changes as jets are booked and trips are scheduled, so make sure you ask your broker when arranging your trip. It’s important to have a broker working for you to get the best deal possible for your flight, and our connections with operators around the globe allow us to offer our clients the best deals possible on one-way empty leg flights. Call or e-mail our team and ask about one-way empty legs for your next flight to New York City! ACA is your one-stop shop for all things private aviation in New York City. Our team works directly with several high-profile clients and executive flight departments to book flights for our clients all around the world. Whether its members of the media, athletes, celebrities, government officials or business executives, our aviation team is familiar with the demands and requirements of these flights, and we go above and beyond to provide clients with a private aviation experience that is second to none. If you’re a personal assistant or you work for a flight department and need to arrange a private flight for your client, let our team be your personal assistant in private aviation. While the bottom line is still important, we understand that forming a relationship with a company you trust to arrange these flights is equally as important. That’s why our New York City Jet Charter team is here to answer any aviation questions you may have in an effort to provide a transparent, one-on-one consultative experience when arranging fights. 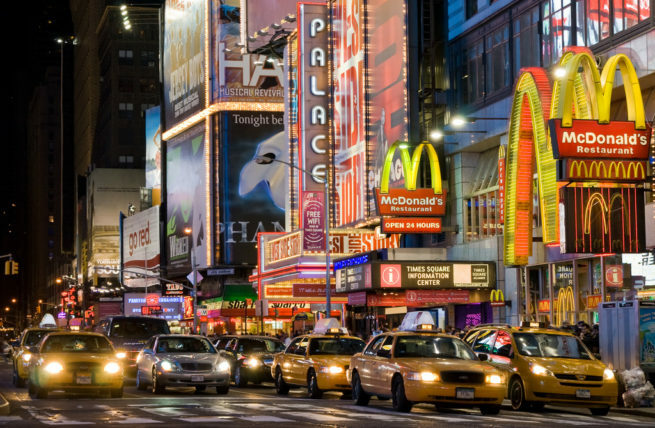 Welcome to New York City – the Big Apple – the City that Never Sleeps – and the most diverse city in the world! Fly in a private jet to Manhattan and experience the vacation of a lifetime. From helicopter tours around the Statue of liberty to Radio City Music Hall and Times Square, there is entertainment for all ages. 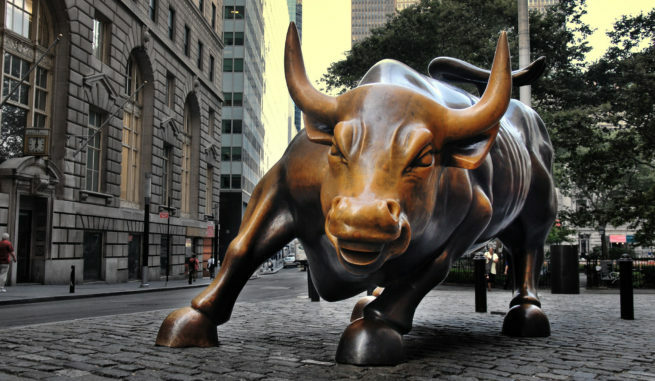 Down to business, the Big Apple is home to none other than the NYSE and Empire State Building. Whether you are flying in from out of town for business or pleasure, NYC has so many things to do and places to visit, you will never get bored! Below you will find a list of the top luxury hotels in the NY metro area. This list is not in any specific order but we consider them the top 20 for our jet charter clients. These include Luxury Hotels in Manhattan, and the surrounding areas for your vacation that would best suite private jet flyers. These 20 hotels and resorts are rated based on many variables including location, amenities, and online reviews. 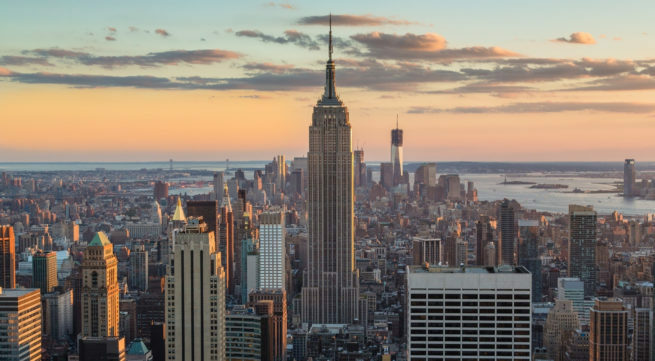 Air Charter Advisors utilizes the following airports to fly clients privately to/from New York City, NY and neighboring areas of the Empire State. Rent a private jet to Teterboro Airport (IATA: TEB, ICAO: KTEB, FAA LID: TEB), one of the world’s busiest general aviation airports. Although (TEB) Teterboro Airport is located in New Jersey, it’s located just 12 miles from Midtown Manhattan, making it the preferred choice for private and corporate aircraft heading to Manhattan. There is no scheduled commercial service to Teterboro – the airport has an aircraft weight limit of 100,000 pounds, which makes it nonviable as a commercial airport. (KTEB) Teterboro Airport operates using two asphalt runways: Runway 6-24 measures 6,013 feet long, and features High Intensity Runway Lights (HIRL). Runway 6 approach has an Instrument Landing System (ILS) and a Medium Approach Lighting System-R (MALS-R); Runway 24’s approach is equipped with both a Precision Approach Path Indicator (PAPI) and Runway End Identification Lights (REIL) systems. Runway 1-19 measures 7,000 feet long, with HIRL as well. Both runways 1 and 19 are equipped with REIL systems. Runway 1 approach is equipped with a VASI system. Runway 19 approach has an ILS and a Precision Approach Path Indicator (PAPI). Runway 1-19 was overlaid and grooved in the summer of 2000, and included the installation of centerline and touchdown zone lighting. Runway 19 is the preferred runway for noise abatement procedures. Private terminals are easy to come by as there are 6 Fixed Base Operators at Teterboro airport; Atlantic Aviation, Jet Aviation and Medridian, along with 3 private terminals operated by Signature Flight Support. Charter a private jet to Westchester County Airport (IATA: HPN, ICAO: KHPN, FAA LID: HPN), a county-owned airport serving Westchester County, New York and Fairfield County, Connecticut. The airport is located about 3 miles NE of White Plains, and is often referred to as White Plains Airport. Westchester County’s location 33 miles north of Manhattan also makes it a popular choice for private jets heading to NY as an alternative airport to (KTEB) Teterboro. (KHPN) Westchester County Airport features two asphalt runways (11/29 – 4,451 feet; 16/34 – 6,549 feet), and one small three-level terminal with six gate spaces; a $30 million construction project is underway to expand the terminal and ramp areas. There are several fixed-base operators (FBOs) at the airport; services available at White Plains Airport include Jet A and 100LL fueling services, repairs and maintenance, aircraft tiedowns, plane de-icing and US Customs. Request a Quote or give us a call at 1-888-987-5387 to speak with one of our New York City Jet Charter representatives for your next luxury vacation, business trip or special event. When working with our company, you’ll enjoy quick response times and an easy, hassle-free booking process. We believe in providing our clientele with jet charter service that exceeds expectations. Your privacy, private charter flight aircraft, and most importantly safety are our teams’ priority. Our jet charter brokers will make themselves available via phone and email 24/7/365 in order to assist you with any request, question, or concern. It’s our attention to detail & safety that sets us apart from our competitors.